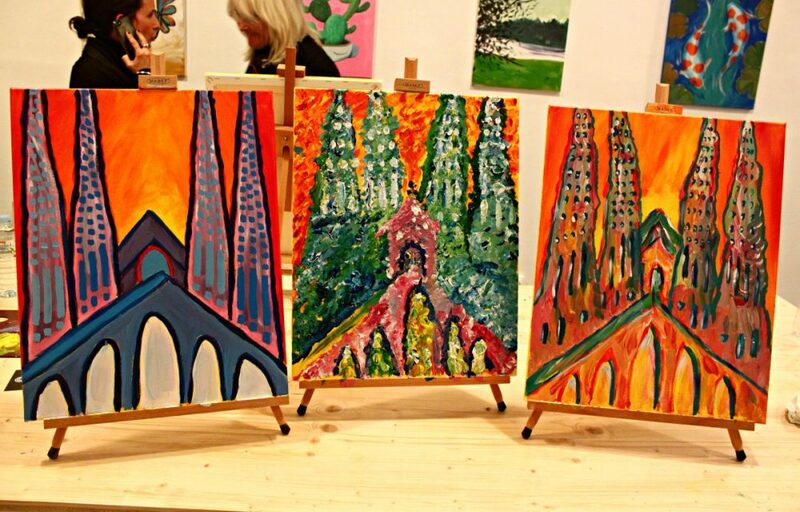 Recently, an invitation popped into my inbox I couldn’t resist – a night of painting and wine in a brand-new place that had opened up: ArteBar Barcelona. 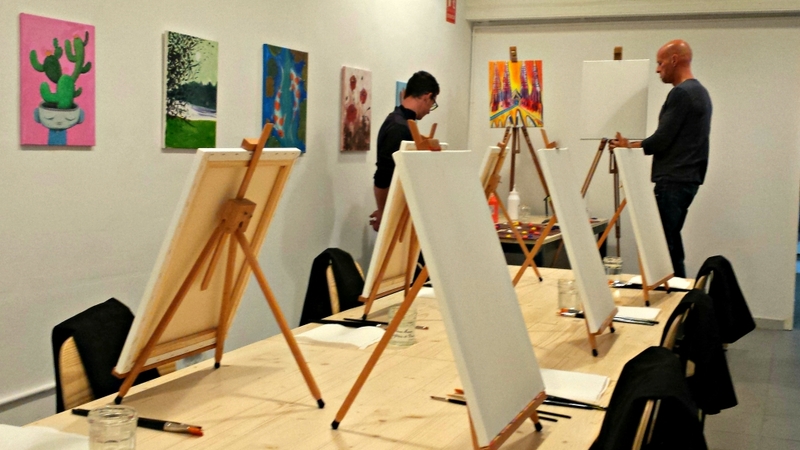 I’d been curious about wine and painting classes, but hadn’t had the chance to try one for myself. 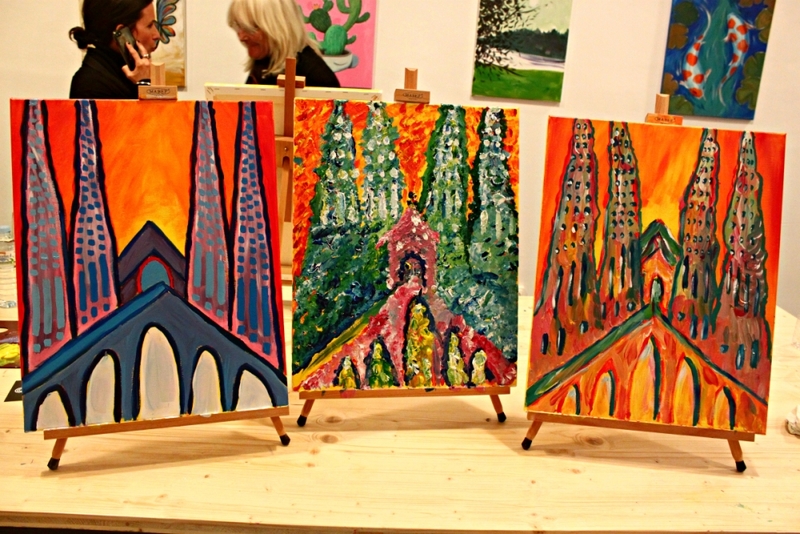 So, off I headed for an evening of painting one of Barcelona’s most iconic sights: the Sagrada Familia. 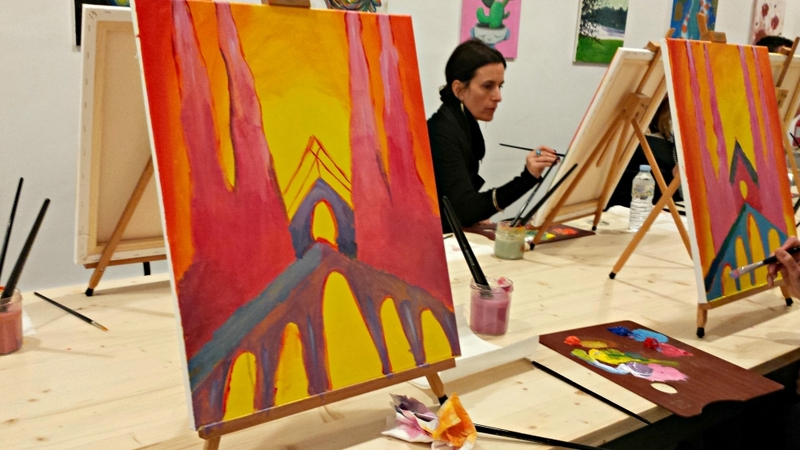 If you’re not familiar with the idea of wine and painting nights, it’s an event where you learn how do a painting while enjoying some wine (or beer) as you learn. Though it’s popular stateside, it was unknown to my Barcelona friends. The biggest doubt I’d always had about these classes was this. Would you really go home with a painting that looked OK? I thought I might just end up walking out with a painting that could be generously termed “abstract” or “surreal”. When I showed up to ArteBar, Alisa and Bruce promised us that we would all go home with paintings that looked great but completely different from each other. Though they were very friendly and reassuring, I couldn’t help looking at the example painting, certain there was no way mine was going to look like that. 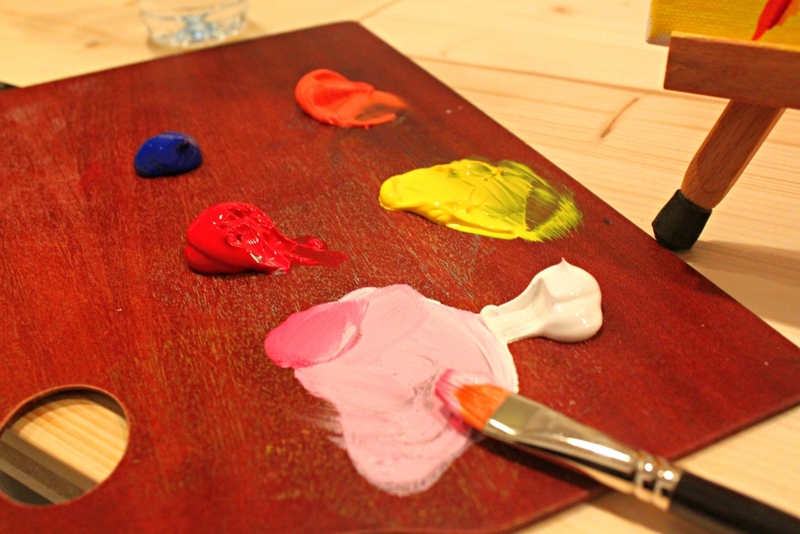 Still, I was handed a generous glass of red, a handful of paintbrushes, a professional looking palette with a selection of paint colors…and an intimidatingly blank canvas. Luckily, the first step was easy – just paint your canvas yellow. And, as it turned out, the next steps were also not too complicated. 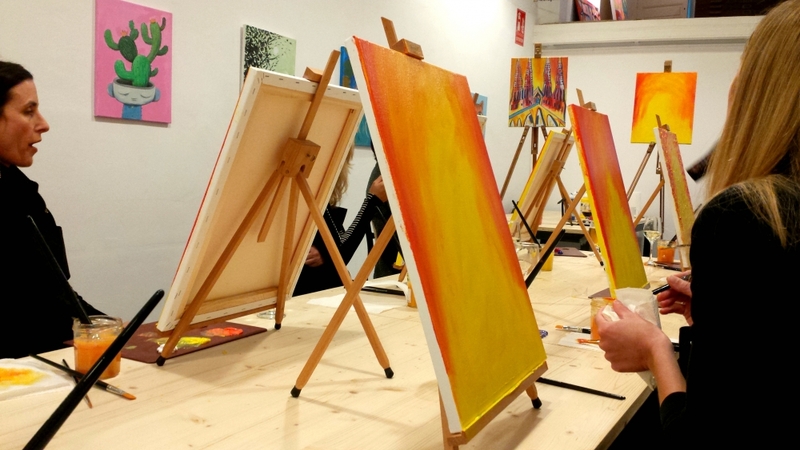 Bit by bit, our artist instructor Bruce showed us how to add simple layers that gradually created an actual image. At the same time, he painted on his own blank canvas so we could see each step. Breaking it down into simple steps made it easy and fun to do. (He also helpfully added that anything could be painted over or adjusted). At a couple points during the session, we were offered snacks and more wine for short breaks. It was a great way to step back from the painting and chat with the other budding artists before going back with your paintbrush for another round. Each time we picked up our brushes again, the paintings looked better and better. At the end of the night, every single person did indeed go home with a painting that looked great. And each was completely different from the rest of the group – exactly as promised at the beginning of the night! Would I recommend ArteBar Barcelona? 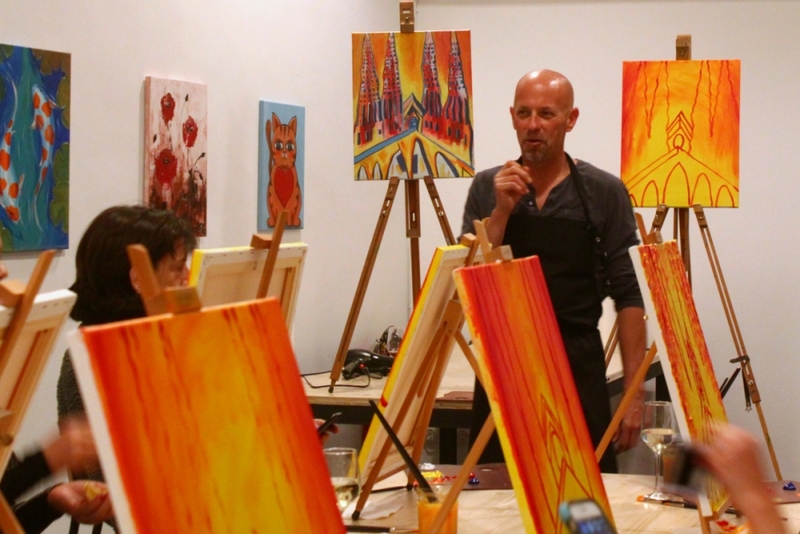 I was a guest at one of ArteBar’s painting nights. All my opinions are honest (as always! ), so here’s what I liked and didn’t like. Positives: It’s really fun, everybody’s paintings looked great, and it was something different from a regular bar night. Great wine & snacks, too. Oh, and the instructors are artists, so they know their stuff. Price: €30 per person, which is a great deal. Would I recommend this to a friend? Definitely – and in fact, I already have! This is the sort of activity that would be fun to do with both my friends who live here and somebody visiting. 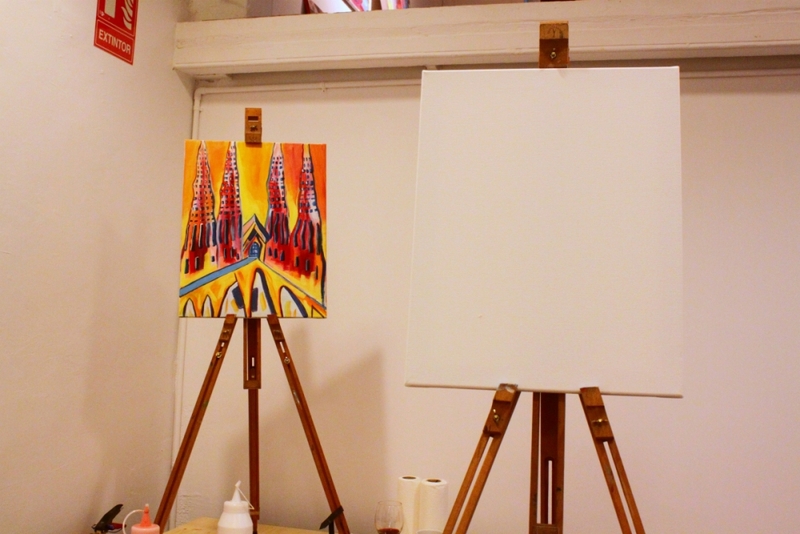 Having a painting you’ve done yourself of a Barcelona sight is a cool souvenir to take home. 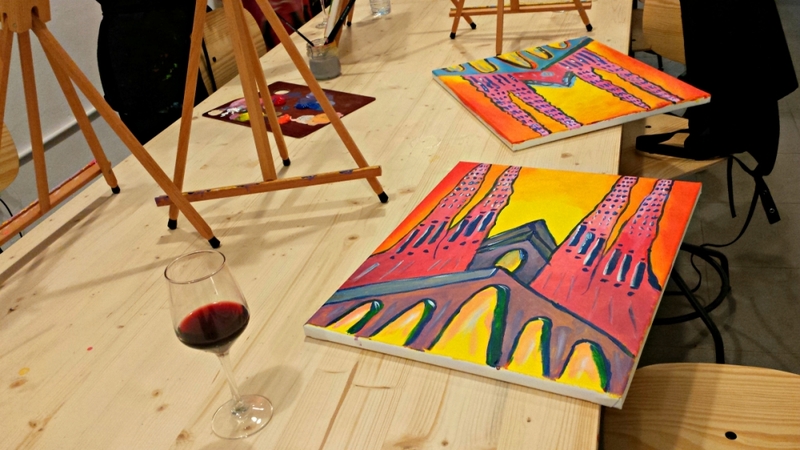 Have you ever done a wine and painting night? What did your painting look like? Looks like a lot of fun. I’d love to try a class like that sometime. I’m the worst when it comes to drawing and painting but for some reason, I love going to wine and painting events.